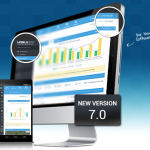 Mobile Spy v6.5 has been released. This release comes with more in-depth surveillance features, you can now see and hear what’s going on in the surrounding area of their cell phone. 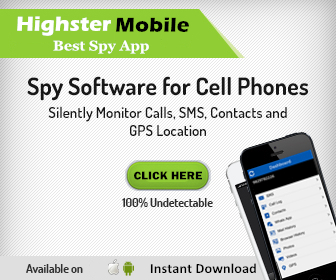 For several years, this cell phone spy software has been a market leader offering new innovative features in order to monitor cell phones. 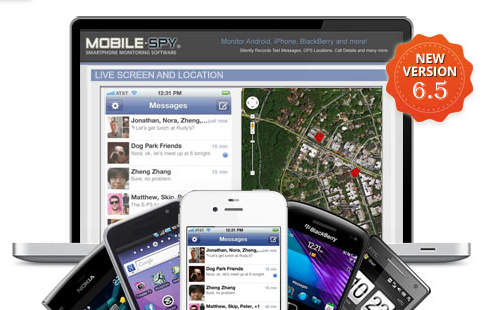 Some favorite Mobile Spy features include GPS tracking, text message monitoring, photos/video recording, the Live Control Panel and more. Thanks to the new update, that list of favorite features continues to grow. Below is a quick look at some of the new features introduced with this release. You can now record microphone sound from the phone’s surrounding area remotely. By using this feature, you gain a better idea of where the mobile device is and what is happening surrounding the phone. This is great for making sure employees and kids are honest and truthful about the activities. Completely stealth, this feature does not make any indication on the phone. 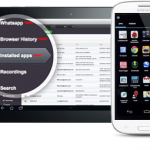 To use this feature, you will need to login to your online account at https://www.mobilespylogs.com and send a silent remote command to the monitored device to turn on the phone’s microphone and record audio in the surrounding area. You can indicate how long to record each audio clip, and each clip gets uploaded to your account for review. 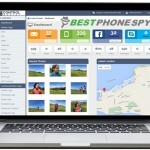 Once again becoming the first to introduce new innovative features, Mobile Spy now offers the ability to use the phone’s camera to take snapshots of its surroundings. Using a stealth remote command from the Live Control Panel, you can view a snapshot taken from the monitored phone using its front facing camera or even its rear facing camera if desired. 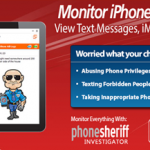 The version 6.5 feature is beneficial in case the monitored phone is ever lost or stolen, and can help in locating the device or seeing who is using the device as well. 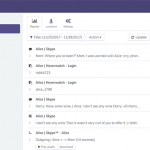 These new notifications allow users to stay informed about things happening on the monitored phone. New alert options include Profanity Alert, Contacts Alert, Intrusion Alert, Custom Alert, and GEO-Fencing. The alert feature will notify you each time one of the alerts is triggered. Geo-Fencing: Anytime the monitored phone is taken outside of a pre-determined virtual boundary, you will be alerted. Custom Alert: You will receive a notification alert each time certain pre-selected keywords are used on the phone. Intrusion Alert: You are notified if at any time an incorrect password or PIN is attempted to enter through the phone’s lock screen. Profanity Alert: You will know each time profane language is used in any emails or messages. Contact Alert: If any pre-selected contacts are in contact with the phone, you will be notified of the occurrence. 1. 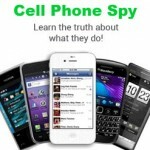 Uninstall previous version of Mobile Spy. 2. Install the new version. 3. Login to new control panel. 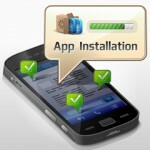 You can find the step-by-step guide here: http://www.mobile-spy.com/v65-upgrade.html. 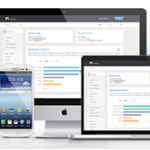 If you run into problems you can contact the technical support team at support@retinax.com.